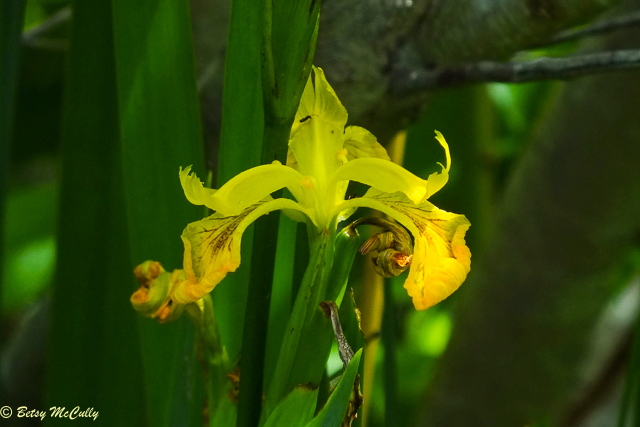 Yellow Flag (Iris pseudacorus). Iridaceae family. Non-native, naturalized. Swamps, streams, ponds. Long Island, 2015.